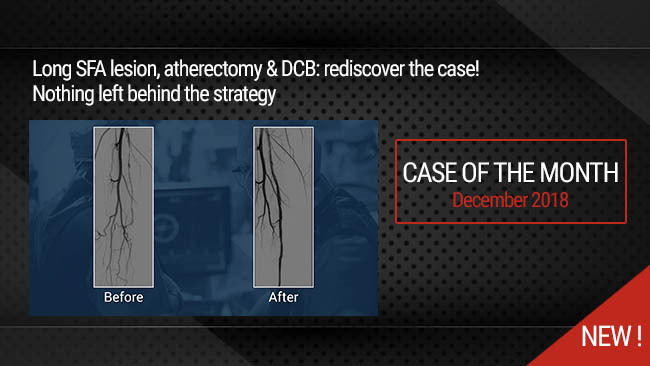 Since the patient is scheduled for Aortic surgery, All coronary lesions were treated in the same session using dedicated bifurcation stents Bioss Lim C with good final result . How to approach patients with multivessels coronary artery disease. Planning and approach complex bifurcation lesions. Concept of bifurcation dedicated stents. Two stents bifurcation PCI with dedicated stent (1.1.1) lesion (T stenting). Provisional bifurcation PCI with single dedicated stent (1.1.0) lesion. Multivessels coronary PCI (three lesions with 5 DES implentation) during the same session in selected patients. Right Arterial Femoral access 7F, EBU 7F guiding catheter. Wiring both LAD and 1st diagonal branch with Sion blue and Runthrough coronary PCI wires. Predilatation and stenting of the mid-LAD with Ultimaster 2.5x28mm DES. Predilatation of the 1st diagonal with 2.5x20mm balloon. Simultaneous positioning of LAD bifurcation stent (Bioss LimC: 3x3.75x16mm) and an Ultimaster 2.5x28mm stent in the 1st diagonal branch . Sequential stent deployment in the 1st diagonal, then in the proximal LAD. Optimization with POT-Kissing-rePOT sequence in the proximal LAD bifurcation. Wiring the Lcx and the OM branch. Direct stenting of the LCx to the OM branch with Bioss LIM C stent 2.75x3.25x24mm. POT technique for the LCx stent. JR4.0 6F guiding catheter in the RCA. Access point closure with Perclose Device. Authors:Gil R, Bil , Džavík , Vassilev , Kern A, Formuszewicz R, Zalewska-Adamiec M, Dobrzycki s.
Publication:2016 Dec 10;12(11):e1404-e1412. doi: 10.4244/EIJY15M11_11. Publication:2017 Apr;14(4):279-284. doi: 10.1080/17434440.2017.1318058. Epub 2017 Apr 19. Authors:Gil RJ, Bil J, Kern A, Pawłowski T.
Publication:2018;76(2):464-470. doi: 10.5603/KP.a2017.0226. Epub 2017 Dec 1. Authors:Vassilev D, Mateev H, Alexandrov A, Karamfiloff K, Gil RJ. Publication: 2014 Dec;27(6):570-3. doi: 10.1111/joic.12155. Epub 2014 Sep 16.